Winter means snowfall in most parts of the country, and it’s especially true here in Minnesota where the arctic winds from Canada keep the air and the ground cold enough for snow for nearly half of the year. Removing all that snow is just part of normal life. People need to get to work, kids need to get to school and life needs to carry on. One problem, though, that people come across is snow plows damaging their concrete driveways, increasing the need for sometimes-costly repairs. 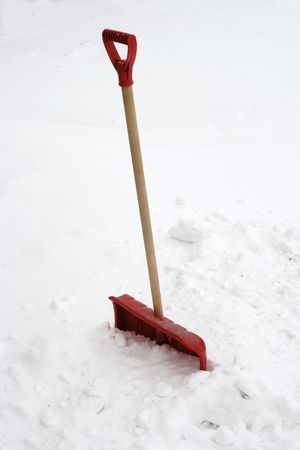 At Templin Concrete Construction, we know all about both about concrete and removing snow. That’s why we’ve launched a snow plow service – just in time for winter. Unlike other plow drivers, our team knows the best ways to remove snow from concrete driveways – and the best ways not to. Temple Concrete has been in business for more than a decade and has experience doing concrete work both on new homes and replacing concrete on older homes. We’ve completed concrete construction jobs of all sizes, from small decorative installations and countertops to expansive driveway and patio projects. We’ve even done concrete for an “Extreme Makeover: Home Edition” house with our work seen by millions of people. All this experience means that we know our way around concrete – something not every snow plow driver is going to know. If you want trusted professionals to take care of your plowing needs this winter, our drivers’ specialized knowledge will help us keep your concrete driveway stay in pristine condition – clear of snow and damage! Based in Cambridge, Minnesota, we know that January, February and March brings an average of nearly 2 feet of snow per month. Let us make sure that your driveway is only filled with your vehicles and not all that white stuff. Give us a call at 612-388-1945 to learn more about pricing or to schedule an appointment for plowing today.